African Mango is a new form of weight loss supplement that has become popular in recent years. This surge in popularity can be attributed to an honorable mention on the Dr. Oz show. In his segment on weight loss for women over 40, he briefly suggested that the extract of African Mangoes, Irvingia gabonensis, has the power to help jumpstart your weight loss efforts by curbing your appetite so that you eat less. Some scientific studies seem to support this. One double-blind clinical study allegedly found "significant improvements" in study participants, especially with regard to overall weight, body fat composition, cholesterol levels, and several other signs of metabolic health. However, the study fails to throw out any specific numbers on exactly how significant these improvements were. Another double-blind study of the fruit itself showed that, in obese patients, those who were given the fruit had lower levels of bad cholesterol and higher levels of good cholesterol after the study had completed. 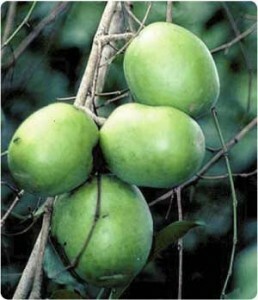 While those results could be from ingesting the Irvingia gabonensis extract present in the fruit, it should also be noted that most fruits which are high in fiber - which includes mangoes - can yield similar results. This is because the fiber helps slow down your digestive system (which also helps curb appetite) and helps your body digest sugar more efficiently. Unfortunately, it is unclear from this study whether it was the mango extract itself, or the fiber in the fruit that helped yield positive results. Regardless of the research, dozens of companies have come out with their own form of African Mango diet supplements lately. Because the market is so saturated, it can be hard to tell which ones will help you lose weight, and which ones will only help your wallet get skinnier. Below, we'll take a closer look at African Mango and find out if it can work for you. It is difficult to find published ingredients for African Mango online, but user reviews report that it contains a "proprietary" blend of African Mango Extract (Irvingia Gabonensis), caffeine, and a handful of other beneficial herbs and extracts. On the plus side, you can clearly see on the label that the product contains the advertised mango extract, and the additional herbs like green tea and acai fruit are a nice bonus. However, it doesn't tell you exactly how much African Mango extract the "blend" contains. Additionally, for a weight loss supplement which claims to improve heart health (based on the studies mentioned above), is it really a good idea to throw caffeine in there? Granted, if you already have a healthy heart, taking a diet supplement with natural caffeine in it is perfectly fine. But for anyone looking for the cholesterol benefits reportedly associated with this extract, the caffeine may put more stress on your heart than the herbs might help it. African Mango is available on a variety of popular vendor websites, including Amazon and Ebay. For better or worse, you cannot order directly from the manufacturer's website unless you are a corporate entity looking to sell the product in bulk to consumers. Prices vary wildly depending on the website you order from, the specific seller you contact, and the quantity of pills ordered. The average seems to be somewhere between $6-$9 per bottle. Another concerning factor has to do with a lack of a solid guarantee from the manufacturer. Depending on what website sells you your supply, the money back guarantee will be different - if it exists at all. Granted, if you can get a bottle for a cheap enough price (which doesn't seem to be that hard), taking a chance and risking $5 on a bottle won't be too big of a gamble, assuming it doesn't work. It's hard to say for sure. There isn't much information on the actual product itself - it is only implied that it works because of scientific tests performed with the main ingredient. It's also hard to know exactly how much of the active ingredient is included when it's mixed into a "proprietary" blend of other beneficial ingredients. 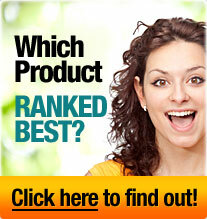 On the other hand, the positive reviews that exist do report that it helps curb appetite. So it may be a useful compliment to your diet supplements if you aren't too sensitive to the caffeine. For more info on weight loss supplements like African Mango, check out our reviews section here!